When coming to Kyoto, the most obvious choices for things to do in this city is to go see Kiyomizu Temple and Fushimi Inari Shrine. 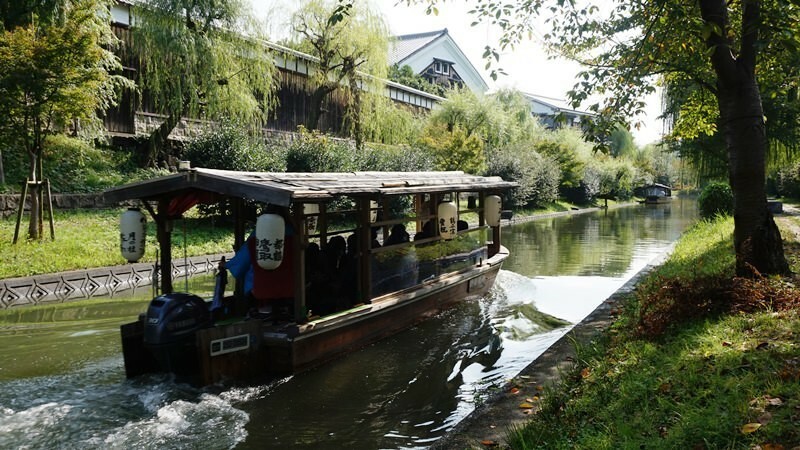 Here you can see our take on a perfect itinerary for the first day of sightseeing in Kyoto, which features both places. But what if you want to go somewhere other tourists won’t go? Then you should take a look at these seven spots that are out of the way and off the beaten path! Fushimi Chushojima is an area that is not that well known among most tourists, but it’s incredibly well known among those people who like sake. This is the home ground of sake in Kyoto, and there are many sake breweries still located here, some of them famous worldwide, such as Geikkeikan. This area is off-the-beaten-path most of the year, except in autumn, when those looking for autumn leaves all flock to this little mountain village. At this idyllic mountain village you can find three great temples, one of them a World Heritage Site, Kosan-ji Temple, but the other two, Jingo-ji and Saimyo-ji, are equally worth a visit. Back to more healthy activities, Kuya no Taki falls are named after a Buddhist priest who lived over a thousand years ago and founded the temple Rokuharamitsu-ji in more central Kyoto. 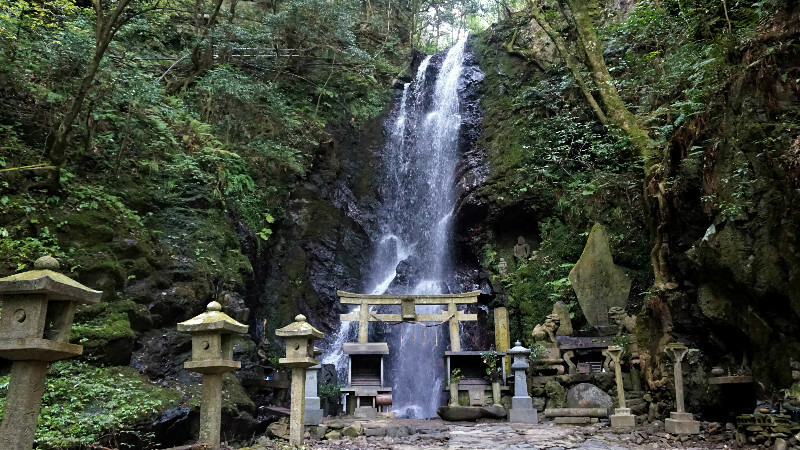 The falls are a 40-minute hike from Kiyotaki, but beautiful, and also great if you’re into ascetic Buddhist practices. 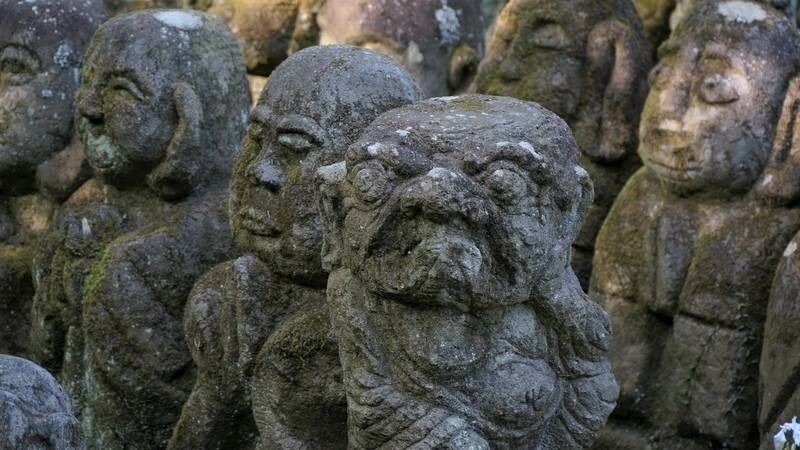 This temple is famous for its rakan statues, which are not normal Buddhist statues at all. These statues are having fun, some of them playing tennis, while other looks like Elvis, while some look like they came out of the Middle-earth. The temple is in a remote location, but not too hard to find. If you want to continue to an even more off-the-beaten-path location from Otagi Nenbutsu-ji Temple, there is a hiking route close to the temple that takes you up a mountain to Atago Shrine (the hike should be under two hours). This museum is centrally located not too far from Kiyomizu Temple, but it’s not something you’ll just stumble upon. The museum here is in the house where Kawai Kanjiro actually lived, so it’s a bit hidden in an alley. 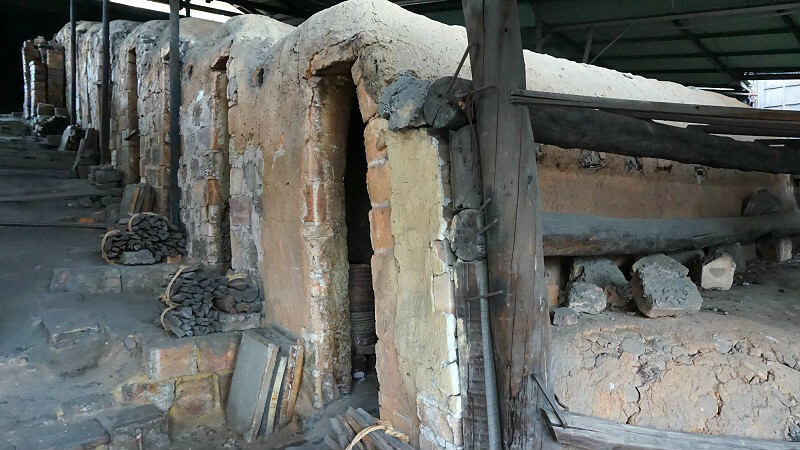 Even though it may take you some time to locate it, the museum is definitely worth a visit – the huge climbing kiln at the museum is an especially jaw-dropping sight. 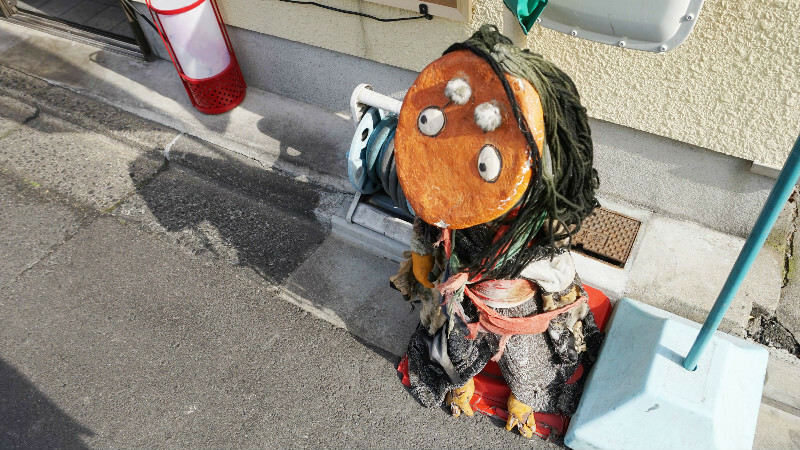 Yokai Street makes a nice little detour if you’re going to Kitano Tenmangu Shrine. The yokai monsters here look cute, and not that frightening, but they all seem to have their own personas. Remember to try the yokai croquettes! 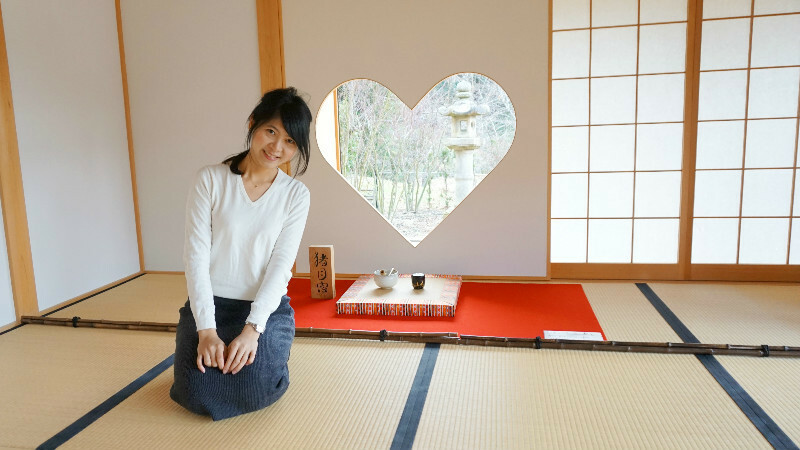 Shoju-in Temple is famous for its heart-shaped window, which is why the temple is a popular spot among those getting married, who come to the temple to have their picture taken in front of the heart-shaped window. The temple itself, however, is in a very remote location, so you need to do some planning if you want to go to it. 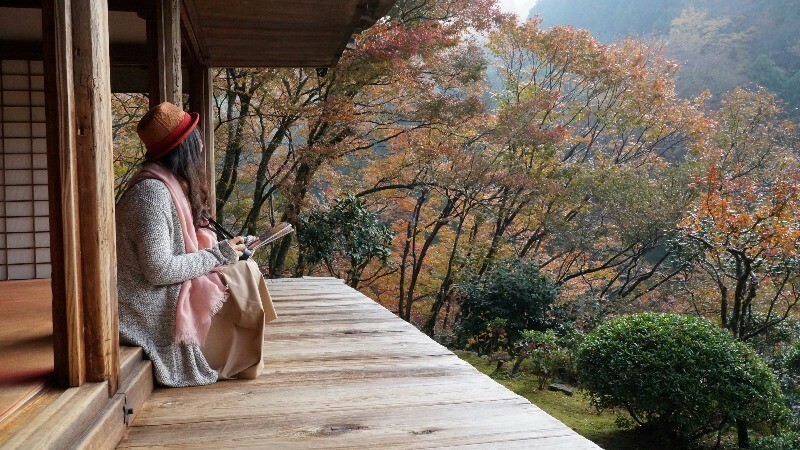 There is so much to see in Kyoto, that you really need to spend quite some time here if you want to even catch some of the most well-known ones. But there are also many places that are not yet that popular, and that offer something out of the ordinary.